In today’s chaotic world, it seems as if we have to work harder than ever to keep our children safe, no matter where they are. From playing sports to even sitting in a classroom, things can go wrong in an instant and life the way we know it can change drastically forever. There are some ways, however, that we can protect our children as much as we can from the dangers of the world. With that in mind, read on below for a few of the top tips for keeping your kids safe in different situations. One of the best ways to protect your children in their own home is to help protect your home to begin with. Installing a state-of-the-art security system and then having a reputable company monitor your home for you is an easy way to have peace of mind. It’s also a good idea to make sure that you teach your children never to open the door to strangers and to never answer the phone when you aren’t home. These are just little things that can be taught to a child, but these little things could be the difference between safety and tragedy. Sports, especially football, is something many kids are into today. While your children getting into sports is a great way for them to socialize and be physically active, sports can be dangerous. One of the top ways to keep them as safe as possible when playing sports is to always, always make them wear their gear. Whether it’s at practice, a game, or just practicing in the backyard, sports injuries can happen anywhere. Make sure that they know how important it is to follow the rules of the sport as well. Those rules are in place for a reason, to keep kids from getting hurt. Stress the rules to your children before they set foot on a field or court and you should be fine. While most of us never thought there would come a day when we had to worry about our kid’s safety at the school they attend, the day has indeed arrived. Whether it’s bullying or a shooting, school is not the safe haven it once was. Following a few basic tips will help ensure that your child is as safe as they can be in today’s schools. The first thing you need to do when you enroll your child in a school is to review the school’s policies. Look for things such as what they do in case of a lockdown, what safety measures they take for preventing unauthorized people from entering the school, and their stance on bullying. Talking to your kids is another way to protect them when they are in school. Let them know they can tell you anything, so that if they are being bullied or see something strange they will come to you first and let you know so you can take action. These are just a few tips for trying to keep your children safe wherever they may be. 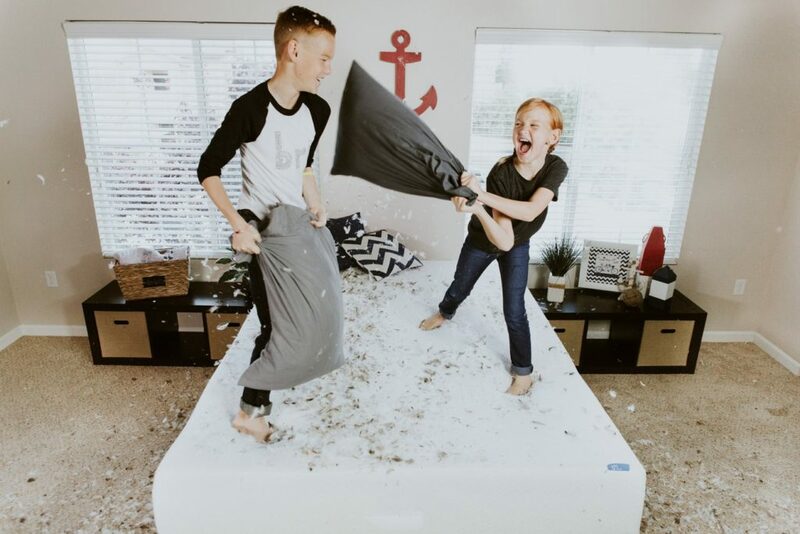 From having a security system installed in your home to reviewing your school’s policies, these tips will give you a little peace of mind that you are doing everything you can to keep your children safe in today’s highly uncertain world. Although some days it’d be nice for your kids to be grown and independent, it’s important to embrace the younger stages when they need you. The years go fast, and they aren’t always going to be so innocent. It’s important to have activities in mind for them to participate it when they’re feeling bored. It probably happens more often than you’d like, so be prepared the next time they come to you with the look of concern. Be ready to show and encourage them with a variety of options and help narrow it down to possibilities they can agree to. See ideas for keeping your children entertained. While it’ll be a little more difficult in the colder months, it’s still possible to play outside year-round. Have the proper clothing for them to wear no matter the temperature. If they’re sick of the backyard then walk with them to the local park and play there once in a while. The fresh air will feel good and help to boost everyone’s mood. 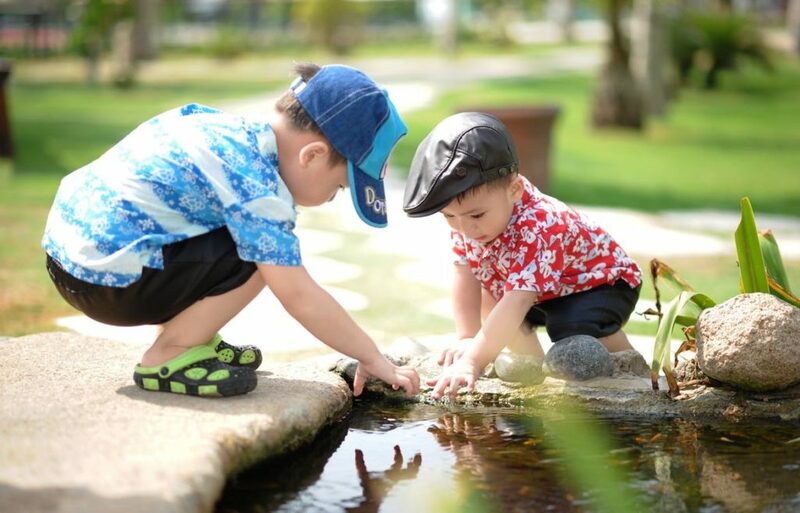 Playing outside is also a great way for your children to get some exercise and let loose. If there’s snow, challenge them to build a snowman and if it’s warm and sunny put out the sprinkler for them. Many kids love to go skating. Whether it’s indoor roller-skating or outdoor figure skating, there are options, depending on their individual interests. Go with them and put on your skates since you’re there anyway. Appreciate the exercise that you’re getting and that your kids are having a good time. You’ll probably find that you have fun with your kids and that they make you laugh. Don’t let the weather stop you from selecting this activity as a fun way to spend a weekend afternoon, since it can be done both indoors and outside. It may be time to get a family dog if your children are bored. Make a deal before you bring the puppy home that they’re going to help take care of your new animal by assisting with some of the chores. There’s also an informative online magazine you’ll want to read called Canine Weekly. It’s the web’s best source for large dog care tips. One bonus is that your home will be much more lively and cheerful once you bring a dog into the picture. Your children will always have the option to play with the dog when they’re feeling down. Offer to play games or color with your kids. Both are great ways to relax and enjoy each other’s company. Make an afternoon of it by serving their favorite drinks and snacks. Bring out old games that you remember playing when you were young. Once you’re tired of playing board games, try coloring. Coloring is not just a kid’s toy anymore, it’s a therapeutic activity that helps relieve stress and will calm you down. If your kids are sick of the games they have, then go to the store together and offer to buy them one new game or coloring book and go home to enjoy it. If you typically exercise on your own, ask your children to join you on your walk. Bring the new dog and go for a hike together. It’s a great opportunity to talk and catch up. You’ll also each be getting a lot of exercise. Enjoy breathing in the fresh air and observing nature. If you have a nice time together, make it a regular occurrence and use your walks as a chance to connect with your kids. Change up your route each time to keep it interesting for everyone. Walks are relaxing, help decrease stress and are a great opportunity to talk about all sorts of topics. Some children don’t know they love sports until they give them a try. Talk to your kids about getting involved in a few different sports and seeing what they like. Support them by bringing them to practices and attending games. Practice with your kids in the backyard and help them get better, if that’s their goal. 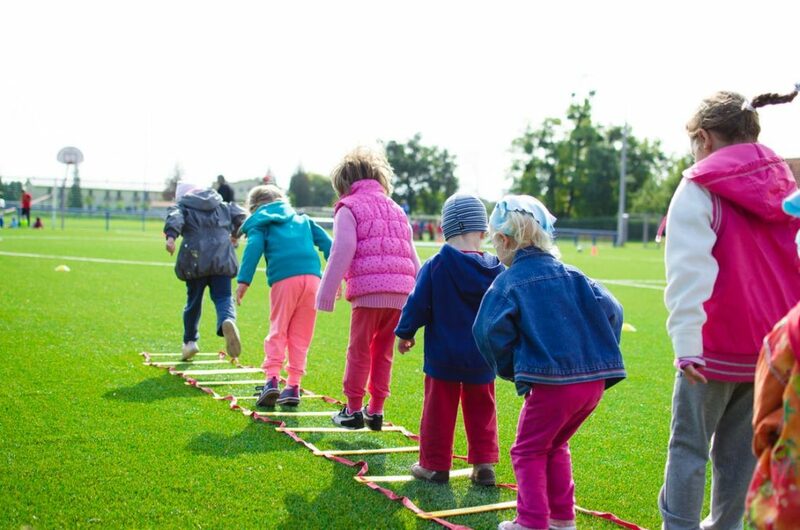 Having them play sports is a great way for your children to meet friends and learn a new skill. If it doesn’t work out, find a different sport or activity for them to try. You never know what will stick for each child. You may not even realize that what’s a chore to you could be fun for your children. Invite them to cook with you once in a while. Show them how to make a recipe and prepare a family dinner. They’ll likely be very interested in the task and want to help you out. Have them set the table and use it as an excuse to gather the entire family for dinner whenever possible. They may find they enjoy cooking and want to start doing it more with you. Expand into areas of baking and making appetizers. You may be excited to find you have a few new helpers around the holidays. Although electronics have the power to keep your kids entertained, they also distract children from being silly and entertaining themselves. Put limits on how long they’re allowed to play on their electronics. This will force them to go explore outside, play with their siblings or to be creative and write or color. Let them be bored and wonder what to do next without their devices. It may take time, but eventually, they’ll find another activity to do and will forget all about staring at a screen. Never underestimate your ability to help your kids be kids and participate in various, fun happenings inside and around the neighborhood. They’ll appreciate your efforts one day and thank you for challenging them to use their imagination and creativity. Don’t’ be afraid to join in on different activities with them and share special moments together. These are ideas for keeping your children entertained. Raising a young family is one of the most difficult jobs in the world. There will be some days when it all gets a bit too much. You may feel as though you have too many jobs to get done and too many people to keep happy. In order to avoid these situations, it is best to be prepared. If you are wondering how you can do this, you will need to read on. Below are five tips for getting through a tough day of parenting. If you are looking for a quick fix, why not find yourself a joke of the day? This is a fantastic way for you to have a little fun. Whenever you are dealing with a particularly stressful problem, having a laugh could be the best way for you to work through the situation. You could even use your joke as the necessary motivation to get through a long list of tasks. Perhaps you could enjoy your joke during one of your many breaks. Instead of running yourself into the ground, it is vital that you divide your day into manageable chunks. This will prevent you from becoming overwhelmed by all of your responsibilities. It will also help you to manage your stress levels. You could spend your break times reading a short story, watching a YouTube video, or taking a walk around your backyard. You could even try a spot of meditation, as this is a perfect way for you to escape the stresses and strains of daily life. You should also remember to give yourself something to work towards. One way of doing this is by ending every day with a relaxing soak in a bubble bath. If this is the main thing that is getting you through your day, it is important to go all out. Make sure that you invest in luxury bath soaks, put on some soothing music, and light some scented candles. You will also need to find someone else to take on the task of looking after your children, as you don’t want to be disturbed during your time out. If you are always struggling to manage your time, you will need to plan ahead. This will help you to stay on top of all of your family’s activities. Why not create a rota for you and your brood? This should detail what everyone is doing, where they are doing it, and what preparations need to be made. You should also encourage all of your family to contribute to this plan, as this will ensure that you aren’t faced with any last minute surprises. When you have finished putting together your weekly schedule, why not display it on your fridge, or create an online version that everyone has access to? If your family life is going to run smoothly, you all need to be on the same page. Throughout your day, it is vital that you have plenty of snacks to keep you going. Instead of counting calories, you should be thinking of your food as fuel. If you are constantly running around looking after your little ones, you can’t afford a dip in energy. Make sure that you eat plenty of healthy and energy-boosting snacks. You will also need to stagger your snacks throughout the day. Perhaps you could prepare a trail mix for during the school run. Or, maybe you could treat yourself to a healthy smoothie, during your afternoon break. The most important thing is that you have the energy that you need in order to keep going. Another important step is to ask others for help. When it comes to raising a family, you should never feel as though you are on your own. In order to avoid this, make sure that you have a strong social circle around you. Perhaps you could reach out to other parents who live on your street. This will ensure that you always have someone to turn to on an extremely stressful day. You should also speak to your family members and your partner. It is important that they understand the pressure that you are under and that they do everything in their power to help you out. Another option is to look online. There are plenty of useful parenting forums that are filled with interesting discussion topics and helpful pieces of advice. It is said that a problem shared is a problem halved and this is certainly true when it comes to parenting. Whenever you find yourself in a difficult situation, it is vital that you are not dealing with it alone. In this digital age, you should be using technology to your advantage. This is a great way for you to ensure that your family life is running smoothly. There is a wide range of apps that you can download to help you through your day. Say you are breastfeeding your new-born baby, there are actually apps that will help you to monitor your feeds and stick to your schedule. Or, if you are struggling to get your children to go to bed on time, there are apps that will help you to manage your children’s sleeping patterns and to take control of your household. If you are going to run your household successfully, it is important that everything is working in your favor. You could also use technology to keep your children entertained. You could treat them to a fun television show or give them an interactive tablet to play with. If you go down this route, just make sure that you limit their time on these devices. It is fine for technology to be a big part of your family life, but it should never be allowed to take over.